A Very good news for all of you. 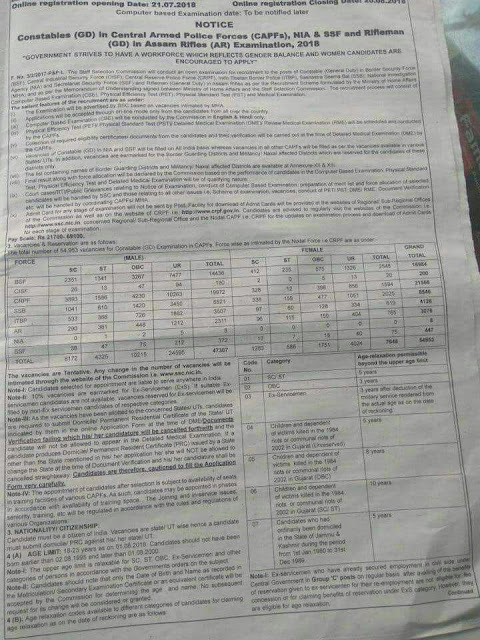 The Staff Selection Commision will conduct an open examination for recruitment For 54953 posts of Constable (GD) in BSF, CRPF, CISF, ITBP, SSB, NIA and SSF and Rifleman in Assam Rifles as per the Recruitment Scheme formulated by the Ministry of Home Affairs. So, if you want to crack this exam, then it is the right time to start your preparation now. According to the advertisement, Apply Online Link will be activated from July 21 to August 20, 2018. 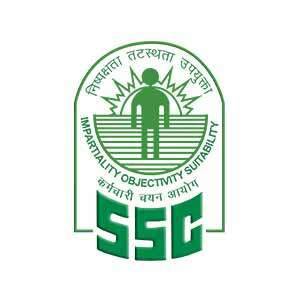 How to Apply – Interested candidates may apply online through the official website of SSC Online from 21-July-2018 to 20-August-2018.